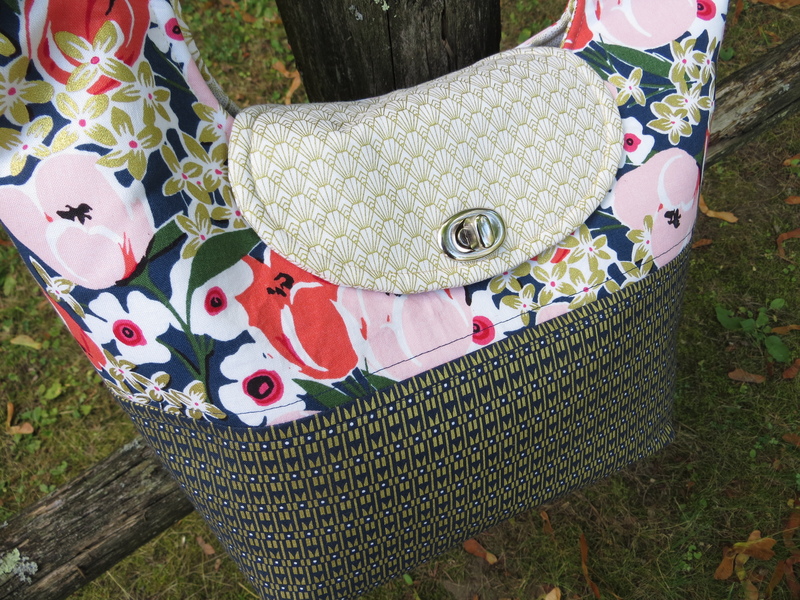 Today is the official release of my new pattern, the Stella Sling Bag – Yeah! 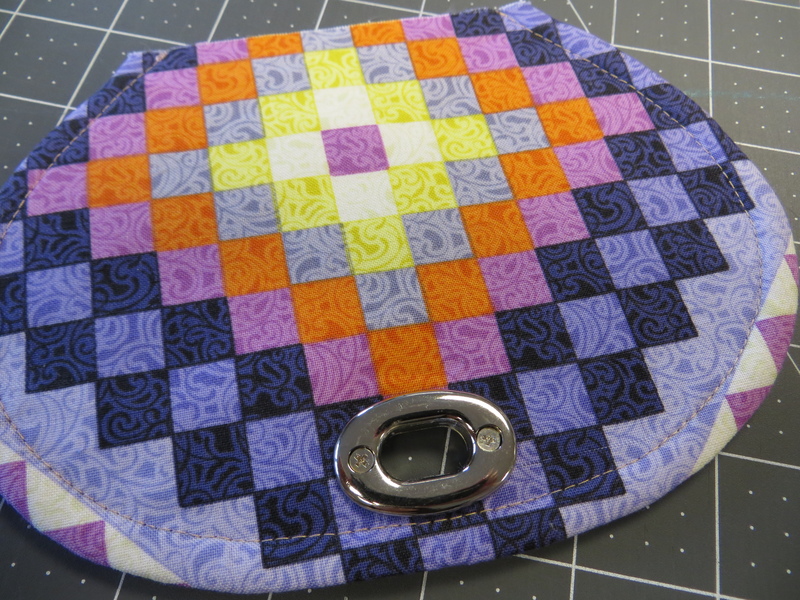 I’m so happy with how this pattern turned out and I’ve been having a great time making samples. Today also happens to be my grandfather’s birthday. He would be 89 years old today and even though he isn’t here with us anymore, I still like to wish him a happy birthday. He’s probably celebrating by eating jelly beans and laughing at his own jokes! If you want to get your own PDF copy of the Stella Swing bag you can buy it right here. It’s on sale for $7.50 today through August 28th. Go grab a copy!! Open the female side as shown above and set the screws aside. 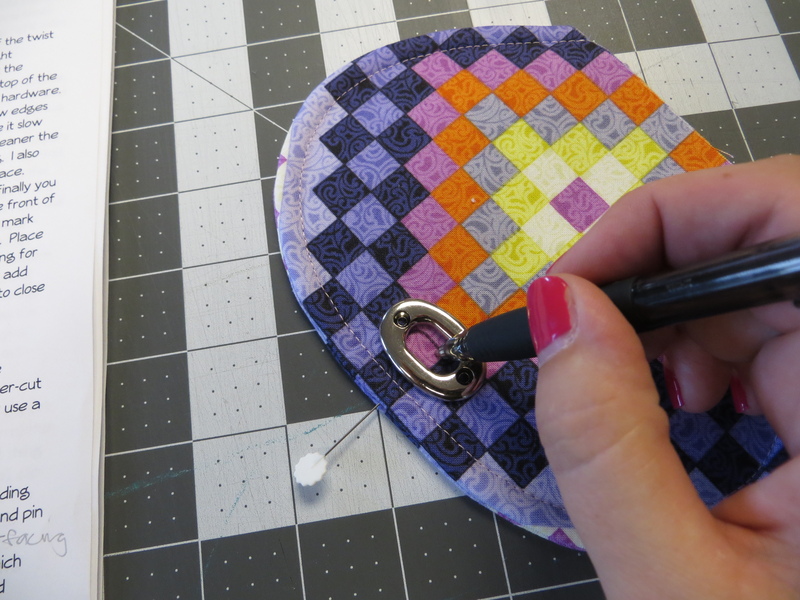 Follow the directions in the pattern you are using for the placement of the lock. For example, the Stella hardware is placed centered and right up next to the topstitching line. On the front of the bag flap, mark the opening with a pen or pencil. Next using your sharp scissors, cut out the opening. Take it a little bit at a time and keep checking the size against the opening. You will also need to cut a little V where the screw holes are. Next, fray check the edges and add some glue to the hardware & flap. Screw the 2 halves together – the screws go on the back of the flap. 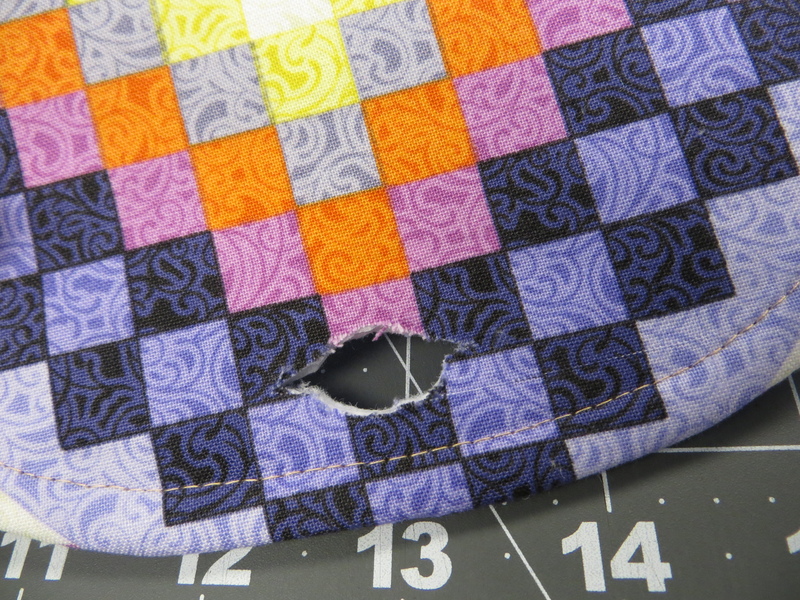 To add the male end, first find the center of the bag top and measure down 2″ (for the Stella, check your pattern requirements). 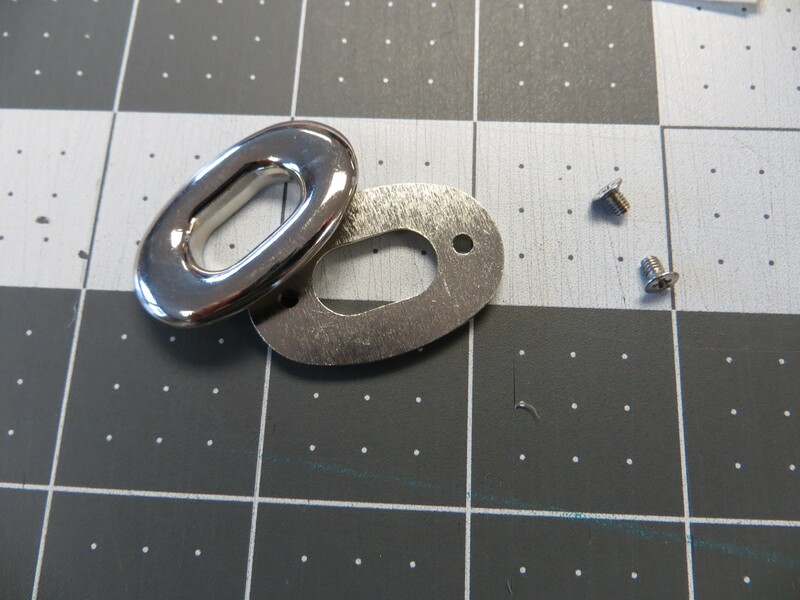 Use the washer to mark where the hardware needs to go. I use the pointed end of my seam ripper to cut the slits and fray check them as well. I add some glue to this piece too. 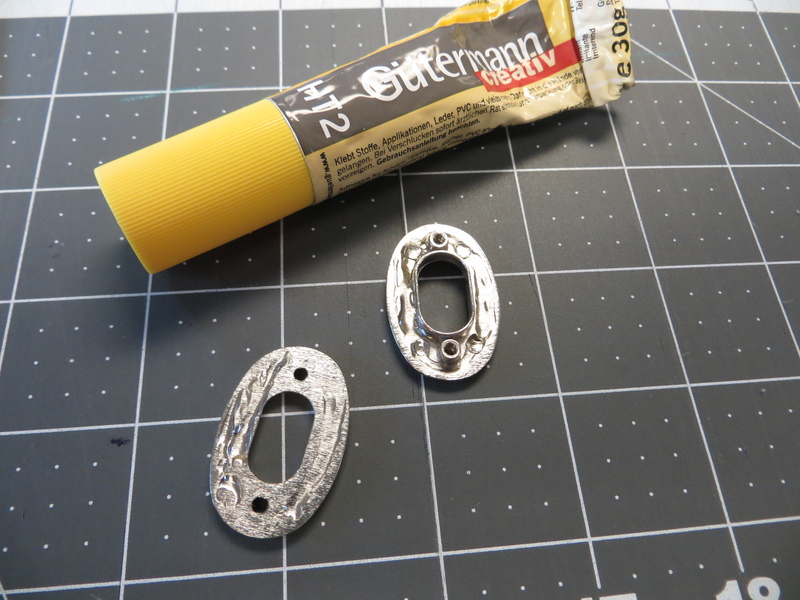 Place the hardware through the front, add the washer and then add some scraps of batting for extra durability. 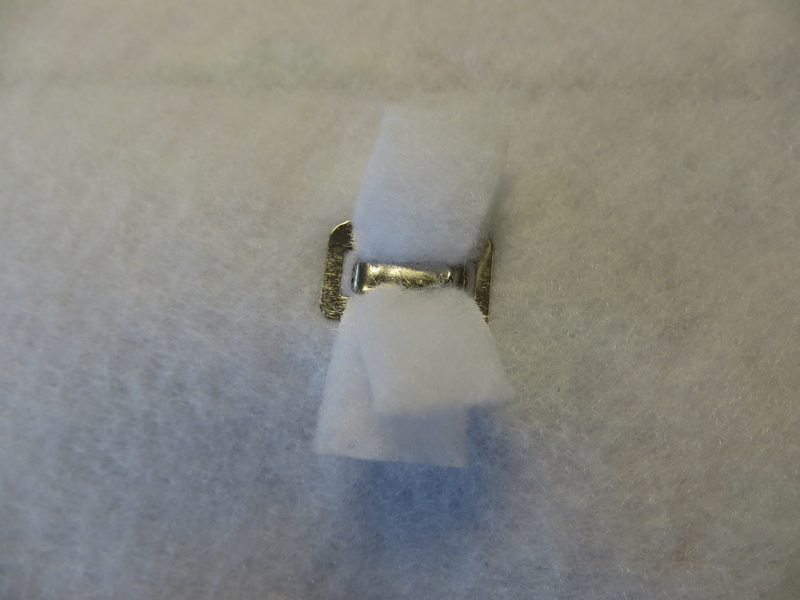 This will prevent the hardware from ripping or pulling on the fabric. 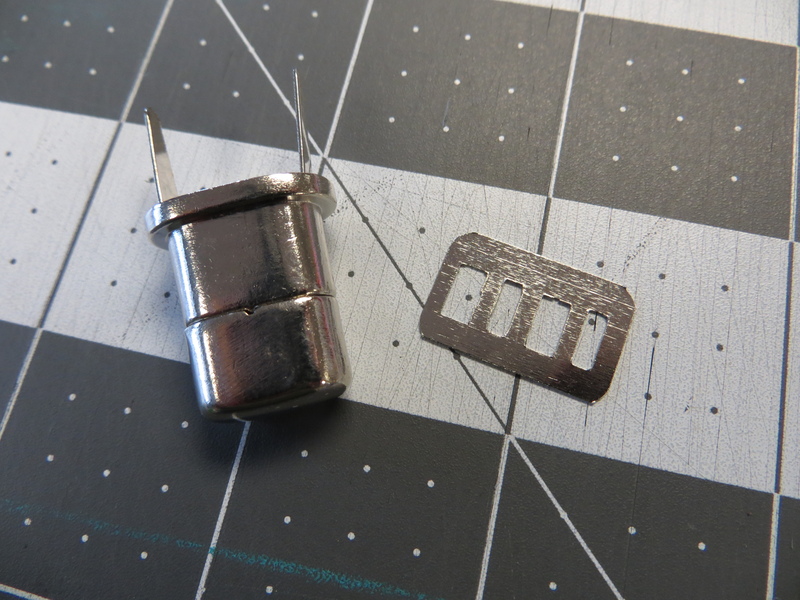 Fold the prongs into each other and close tightly – I use a rubber mallet for this. Voila! You’re done!